J.Sousa-Leão, Frans Post, Amsterdam, 1973, pp. 72-73, no. 24, illustrated. Rio de Janeiro, Museu de Arte Moderna, Os Pintores de Mauricio de Nassau, 1968, no. 24. The artist served as official painter to Prince Johann Philip von Nassau who, during the years 1637-44, acted a governor of the Brazilian territories which the Dutch East India Company had just acquired. 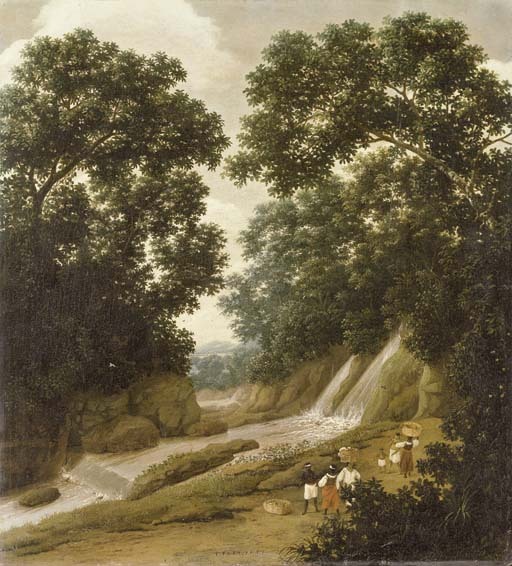 It is possible that this painting was intended for one of the Dutch landowners, before their colonizing efforts came to an end.